So you think you’re ready for Mother’s Day. You have your card, your present, you made breakfast in bed… but where’s your Mother’s Day jokes? Your Mum knows you’ll tell her those two lots of three words: ‘Happy Mother’s Day’ & ‘I Love You’. They’re a given. 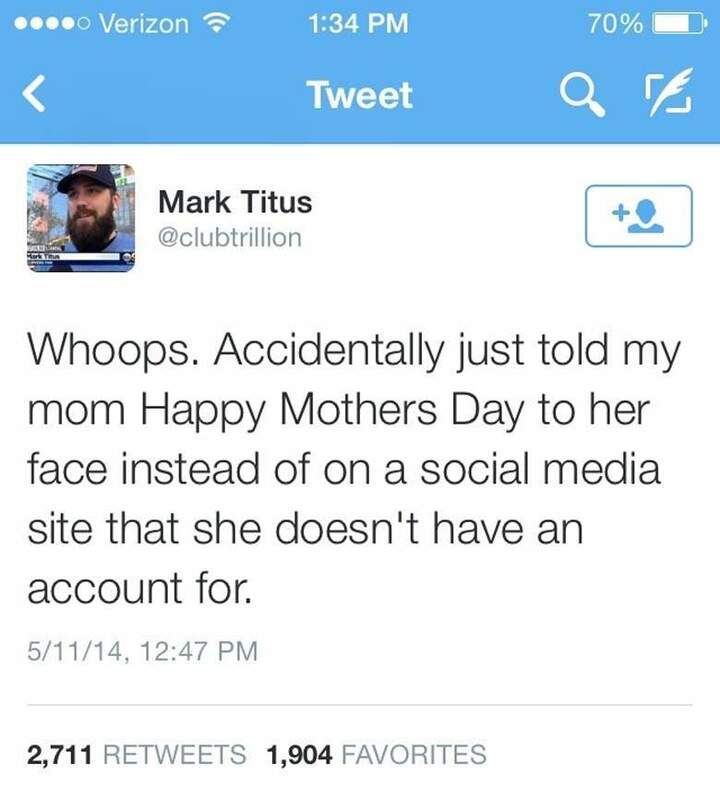 But she won’t be expecting a bunch of hilarious Mother’s Day jokes. You can even write them inside the card! 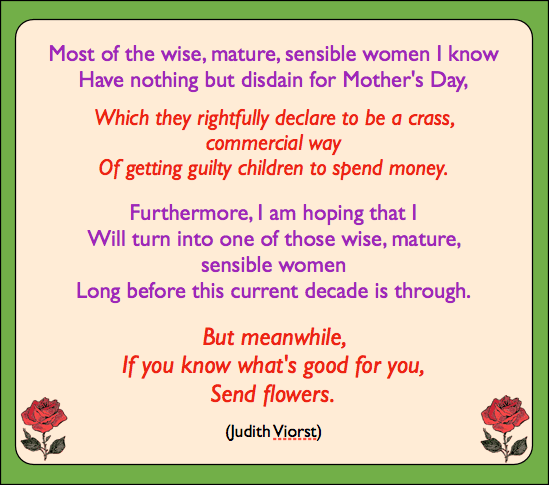 Transform your Mothers Day Card from drab to fab with our selection of the funniest smile-inducing Mother’s Day Jokes from across the web! Whether you’re after something sweet or downright cheeky, we’ve got heaps of each and everything in between! Daughter: Mum, what’s it like to have the greatest daughter in the world? Mum: I don’t know dear, you’d have to ask Grandma. To Mum: I’m hungry, I’m tired, I’m cold, I’m hot, Can I have…, Where are you? Bought my Mum a mug which says, “Happy Mother’s day from the World’s Worst Son”. I forgot to mail it but I think she knows. A family was having dinner on Mother’s Day but the mother was unusually quiet. Finally, her husband asked what was wrong. Two days later the girl asked her Dad the same question. Why is Mother’s Day before Father’s Day? So the kids can spend all their Christmas money on Mum. Son: When is Mother’s Day Dad? “How do you know?” the son asks. Definiton: Jumper – something you wear when your mother gets cold. Mum: The amazing ability to hear a sneeze through 3 closed doors in the middle of the night, three bedrooms away… while Daddy snores next to you. Why is Daenarys Stormborn the patron saint of Mother’s Day? My Mum’s best dish is store bought chocolate cookies. Daughter: Mum, I need my personal space! Mum: You came out of my personal space. 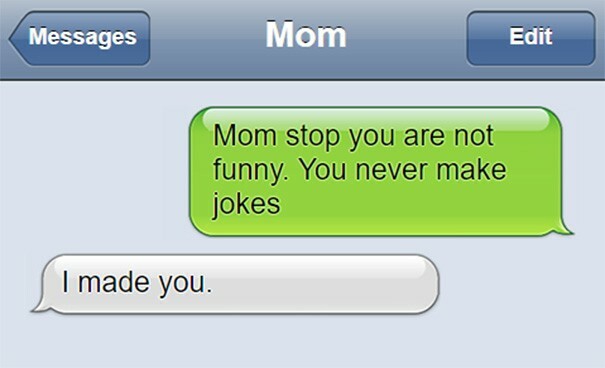 “Son: Mum, Dad keeps making Dad jokes! Son: So, what’s a Mum joke? I saw Mummy asking Santa why he didn’t put his dishes in the dishwasher. Johnny: No, ma’am, I don’t have to. My Mum’s a good cook. Mum: Did u see anything there that u were not supposed to see? Why don’t they have Mother’s Day sales? What’s the difference between Superman and Mothers? Superman’s just a superhero now and then. 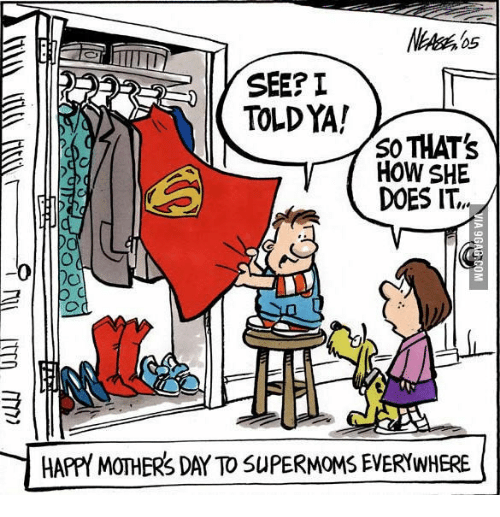 Mums are superheroes all the time. What three words solves Dad’s every problem? What’s the hardest thing your mother makes you swallow? The fact they’re always right. Annie thing you can do, Mum can do better. Water you doing for Mother’s Day? Knock, knock! Who’s there? Justin! I asked Mum what she wanted for Mother’s Day. I really wanted a games console so I presented my Mum with a Playstation 4 for Mother’s Day. “One days vacation a year, that’s all I get!” queries the woman. Why do Mothers have to have two visits to the optometrist? Because they also have eyes in the back of their head. A mother’s sacrifice isn’t giving birth. It’s nine months without wine. Happy Mother’s Day to someone who spoils me and then complains about how spoiled I am. Why are you drinking wine out of a coffee mug? I have to it was getting embarrassing. Everytime Lucy saw a wine glass she would point and cry out Mummy, Mummy! The family were disappointed with their Mother’s Day celebrations on the moon. The food was terrific but the restaurant lacked atmosphere. Mother: Why is there a strange baby in the crib? Daughter: You told me to change the baby. How do your kids know that you’re cross with them? You use their full name. There’s a debate about when a fetus is considered a real person. For Jewish mothers, it’s not until the child enters medical school. Boy: Hey mum can I have 100 dollars? Boy: Where does money come from? Boy: Does Paper come from? Need A Gift To Go With Your Favourite Mother’s Day Jokes? Need the perfect gift for the most important woman in your life? Check out the range of quirky, cute, classic, modern, funny and educational Mothers Day Gifts over at Yellow Octopus, the home of Gifts & Gadgets!